We birders in the northeastern United States are unbearable in April. All we do is complain about the lack of migrating birds so far and in New York City if southeast winds are blowing we are nearly despondent because southeast winds mean that the birds are moving north but the easterly component of the winds usually keep the bulk of birds to our west. Despite our near constant doom-and-gloom prognostications we still manage to see wood-warblers, though most of April is spent looking at the several species that are early arrivals, mostly species that winter in the southeastern United States and therefore can get back to we northeasterns rather quickly. Once May comes, we will likely be ignoring these birds so I thought that it would be nice to give them a little bit of attention now. Enjoy! Palm Warblers are one of the early migrants that show up in numbers. They are also likely to be easily seen because they tend to feed pretty low, often on the ground, and their tail-wagging makes them really obvious. What we don’t get to hear is them singing, as they seem to only sing once they reach their breeding grounds. 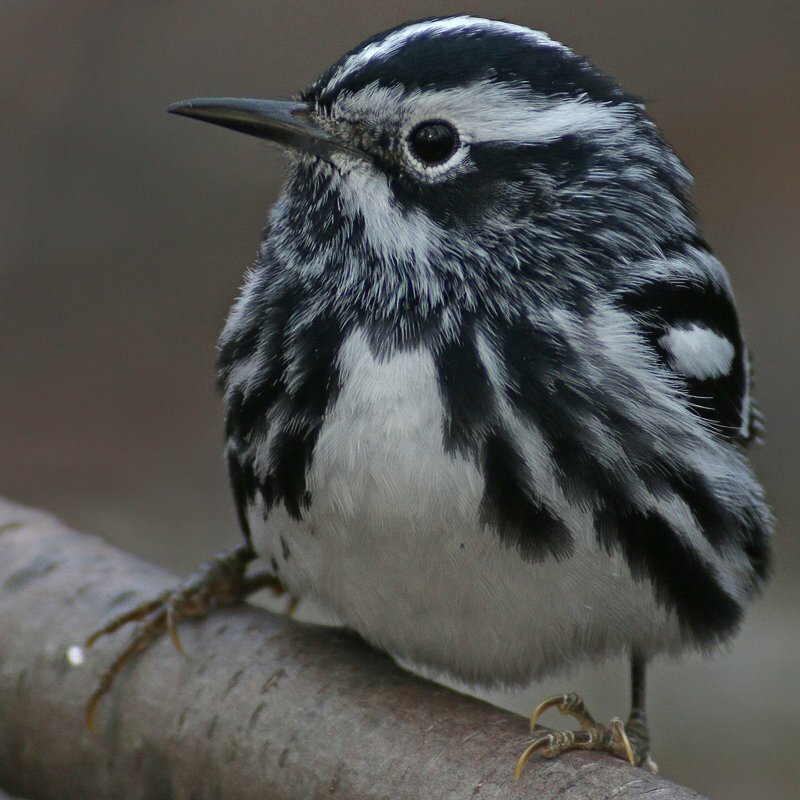 Black-and-white Warblers, with their squeaky wheel song, are pretty easy to find in mid-to-late April. And though they lack the colors of their more pulchritudinous relatives, they make up for their lack of gaudy colors with their tree-creeping behaviors. 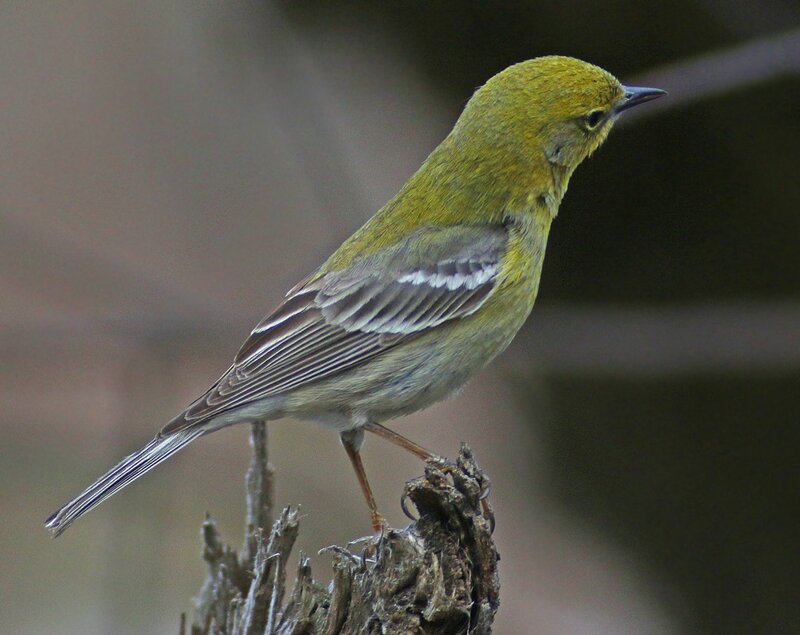 Pine Warblers are always welcome when they return, if only because it is nice to hear a trilling song that isn’t a Dark-eyed Junco. Just don’t embarrass yourself by hearing a Chipping Sparrow and confidently declaring that you just got your first Pine Warbler of the year. 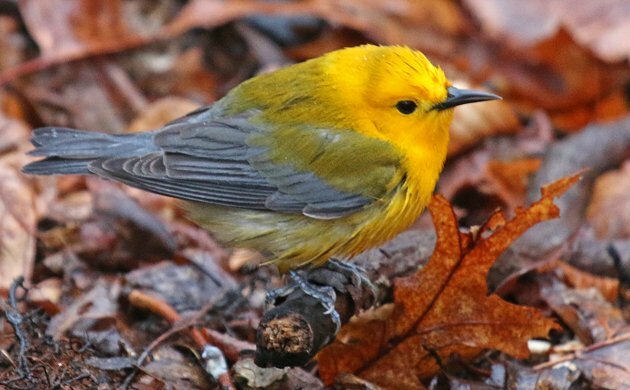 Prothonotary Warblers are certainly not a regularly expected species of wood-warbler in New York but when they do show up they often show up early. This probably has to do with the fact that their core breeding range is to the south, where breeding starts earlier and the ones that do make it to New York are usually considered “overshoots,” birds that flew past their breeding grounds. 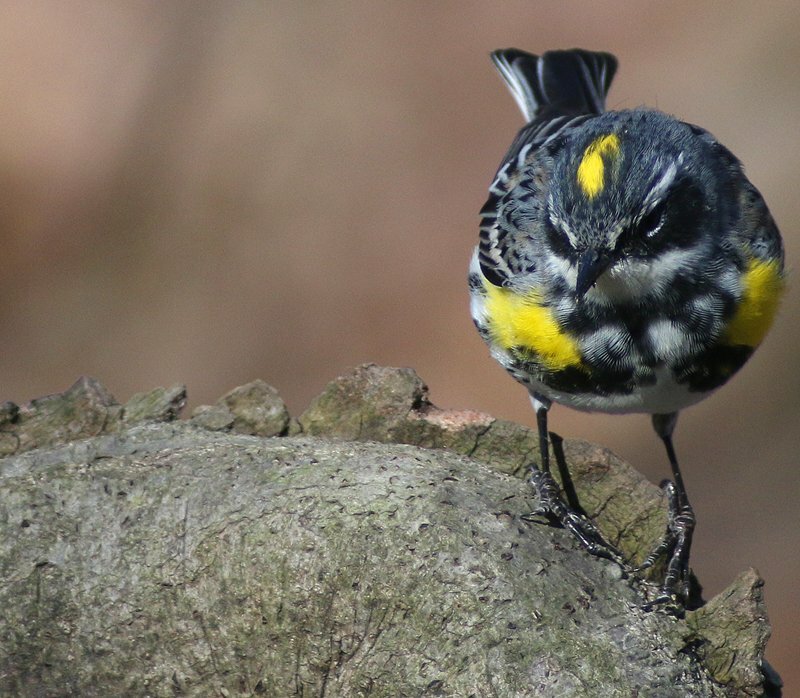 Yellow-rumped Warblers can be found all winter along the coast, but when they start to move inland and molt into snazzy plumage it is like they are a whole new species. April birding often consists of sifting through a flock of Butterbutts trying to find another species. I feel like they never get their due as beautiful in their own right. 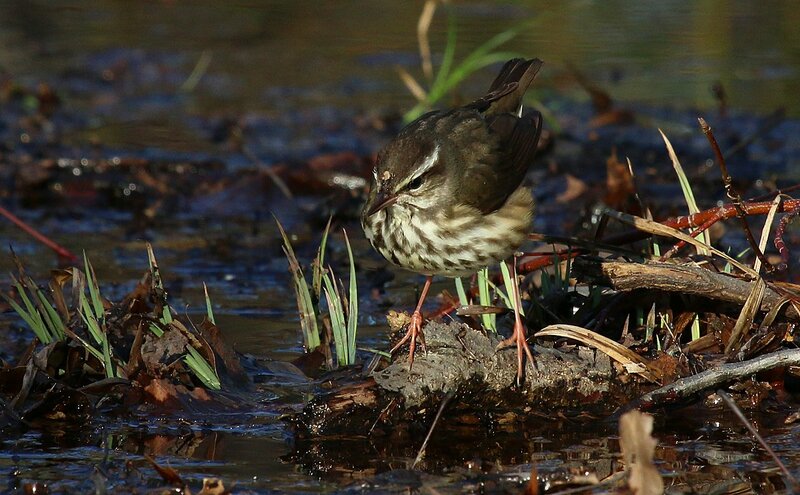 Louisiana Waterthrush are a wonderful early migrant that announce themselves with their clear song. It’s also nice to see them early when you don’t have Northern Waterthrush with which to confuse them. 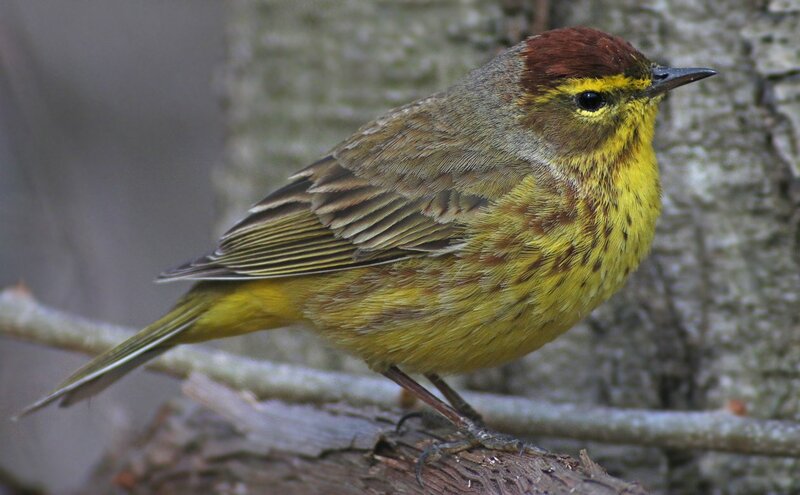 Yellow-throated Warblers are another species that tends to overshoot, though recent reports indicate that it might be in the process of establishing a breeding population in New York. And having another breeding wood-warbler would certainly be nice, wouldn’t it? I hope you all found this post informative and entertaining. I know I had fun putting it together, though it has made me once again catch wood-warbler fever. May, and flocks of wood-warblers, had better get here soon! By the way, all of the shots in this post were taken in New York this spring, with the exception of the Yellow-throated Warbler, which was digiscoped in 2012 in Florida. 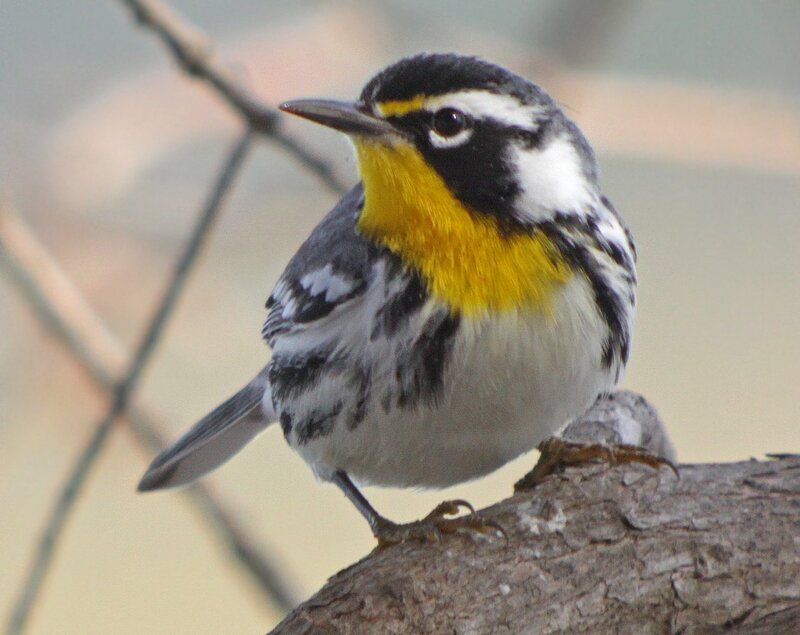 I have yet to really crush a Yellow-throated Warbler in New York. Stuck indoors with the rain pelting down outside in DC. Thanks for the great pictures to cheer me up. No problem, Simon. It was literally my pleasure. Where Are You Birding This Second Weekend of October 2010? Two Weeks ‘Til Space Coast!